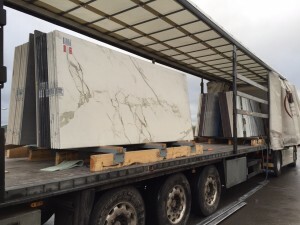 Last week we received the first of many deliveries of Dekton from Cosentino. Our initial delivery contained 92 slabs, stocking our warehouse with a mixture of colours from the exciting new Dekton range. If you missed our previous blog ‘Introducing Dekton’ be sure to take a look.